What do I get with my sponsorship? Knowledge that you are changing a life! Philip’s mother was forced to abandon her three children because she was consistently physically abused woman by her husband. After her departure, Philip’s father remarried very quickly and abandoned his children. 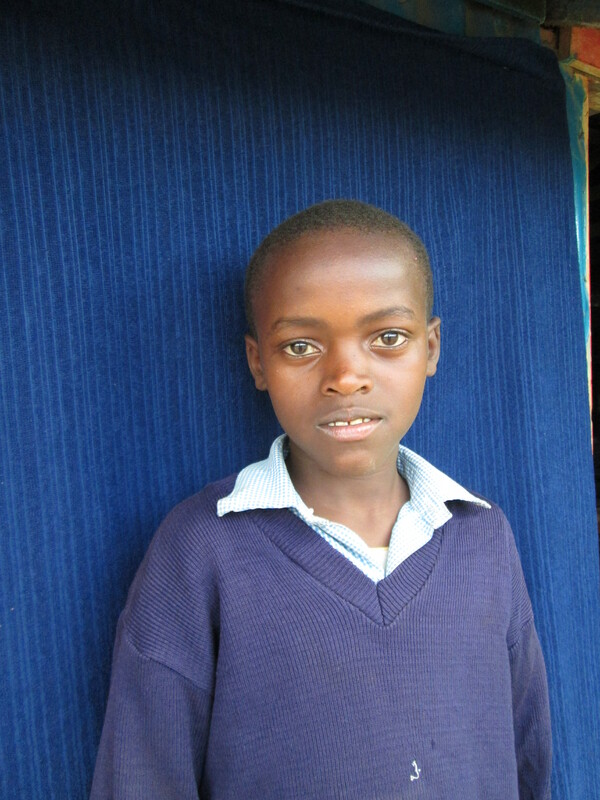 Upon hearing this, Philip’s mother returned to Lenana slum to care for her children. In order to provide for her family, she was forced into ‘survival prostitution’ which resulted in having two more sons. She lives with her five children in a tiny shack. Philip has an artistic talent. He is very creative and loves drawing and colouring. He is an average student and interacts well with people. He has many friends. He loves sports of all kinds. Basketball is his favourite sport.